The way we’re consuming news is changing, and so is the United Kingdom. Revived demands for a Scottish version of the Six O’Clock News are a reminder of how the BBC needs to keep up with the changing structure of the UK. But right down to neighbourhood level, the BBC needs to look again at how it produces news and interacts with communities. If it wants to stay relevant, it needs to put its decades of expertise in journalism to work in securing the future of local news. It’s no exaggeration to say that local journalism in the UK is in deep, deep trouble. With the collapse in classified advertising, titles are closing and circulations are shrinking. Press benches in councils and courts are lying empty. If it’s no longer possible for the market to provide real local journalism, then in the BBC we’ve an organisation that’s ready to fill the gap - or at the very least, help those who are willing to step in. The press barons who have spent the past years slashing staffing levels at local papers loathe the corporation. In particular, they say, the BBC News website’s regional operations provide unfair competition. Of course, they complained about Ceefax, too. But even if the BBC decided not to cover local news online, it’s hard to imagine the likes of Newsquest and Johnston Press reacting by rushing to reopen long-closed newsrooms, abandoning weak BuzzFeed-style listicles and returning to nights spent at town halls. 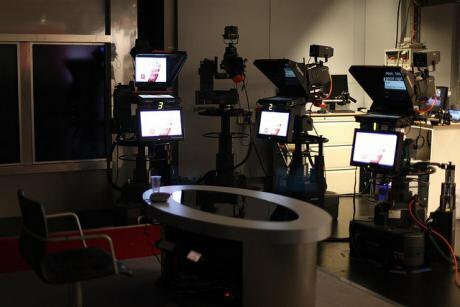 The BBC recently tried to pacify the news barons by offering to fund a network of 100 local news journalists, who would work for the benefit of all providers, big and small. Rather than being grateful for being rewarded for failure, the local news groups lashed out - claiming it was a “back door expansion” of the BBC. Talks are ongoing about the scheme, with the Press Association - which is owned by the UK’s major press groups and seems a more natural partner than the BBC - hoping to play a role too. Whatever happens, a not-for-profit organisation such as the BBC and the aggressively commercial local news groups are likely to be uneasy bedfellows. Broadcast journalism is also facing challenges. Once, the likes of Andrew Gardner, Tony Wilson and Richard Whiteley fronted well-resourced news programmes for the regional stations that made up ITV. Now ITV outside Scotland is a single company with an eye on the bottom line - and that’s meant regions pooling resources and cutting back on coverage. How long until ITV decides enough is enough? While culture secretary Jeremy Hunt tried to fill the gap by licensing a series of local TV stations - inspired by long-running US city stations - their success has been, at best, mixed, with Norwich’s Mustard TV recently posting a £657,000 loss and the biggest station of the lot, London Live, losing £11.6m after a first year of tiny audiences. Birmingham’s City TV never even launched, and a replacement service had to be found. At the moment, the BBC is expected to sit back and watch this happen - while paying for the channels to be transmitted, and paying for content from the stations, too. It seems a curiously unfair arrangement, with licence fee money effectively subsidising the operations of offshoots of large media companies: in London Live’s case, the London Evening Standard; in Mustard’s case, media group Archant. It’s true that some operators are making a decent fist of it - STV is pleased with its network of Scottish stations, run with local universities, and the boss of Brighton’s The Latest is convinced there’s still life in local TV yet. But if it’s all about public service, crossing your fingers and hoping 53 private stations will make it to the end of the year seems like an unacceptable gamble with licence fee money. If you already have a world-class public service broadcaster, why not give it the job - if not running local stations, then contributing news or overseeing content? Not only would this help secure the future of local TV, it would also shore up the existing regional TV services on BBC1 and English local radio stations. And involving local universities and the BBC’s excellent College of Journalism means this would also help train the journalists of the future. This isn’t a new idea. In 2004, the BBC planned to launch up to 60 broadcast local TV services that would produce 10 minutes per hour of content and even conducted trials in Hull and the West Midlands. Naturally, the local press barons were outraged, and the scheme was axed. A future BBC should have the funding to revive these plans. But let’s not stop there. The BBC should be engaging with communities across the country. To its enormous credit, it has begun talking to independent community news sites - or hyperlocals - about how they can work together. Much of the talk has been about linking out from the BBC website, via the Local Live service. You’d think this would be common sense - trust BBC journalists to know the sites that matter in their patch, from local newspapers to independent bloggers, and link out where necessary and appropriate. Instead, the BBC is embarking on a painfully slow consultation about this - and the fact it feels it can’t just get on with it betrays how vulnerable it is right now. With its guaranteed income, the BBC is in a perfect position to help shape the future of local and community journalism - through expanding its local operations, sharing content, offering training or simply sharing some of its funding with smaller independents. But it can only do it if it’s allowed to - and if the vested interests of its opponents are challenged. We should ignore the big news groups who are failing communities up and down the country, and encourage the BBC to do what it does best: get on with reporting the news, both around the world and around the corner.